In outside looking, Mini PCI-E and mSATA port are exactly same, but technical is not same, many people get mixed when upgrading their laptop or desktop pc to new Solid-state Drives(SSD), many people buy mSATA SSD back but after installing into their laptop, they find the SSD is unrecognized. 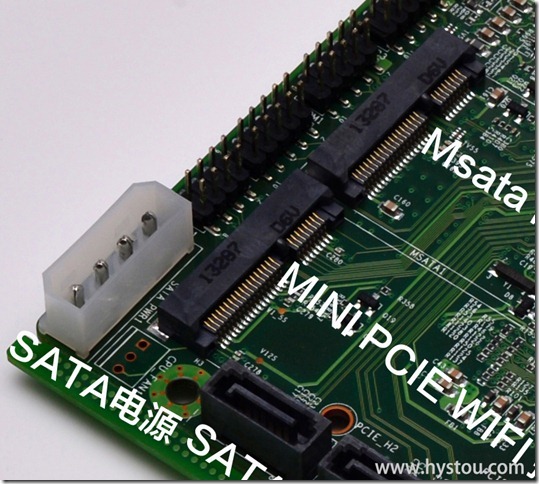 And the below picture is mSATA port and Mini PCI-E port on HYSTOU C1037U mini desktop computer motherboard, if not mentioned, I think most person cannot make sure which for SSD and which for wifi. 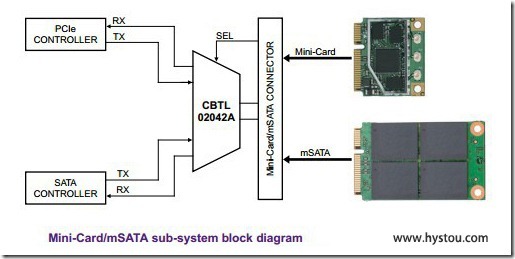 Mini PCI-E port date control by PCIe control, but mSATA date control by SATA controller. So how to recongnize them? 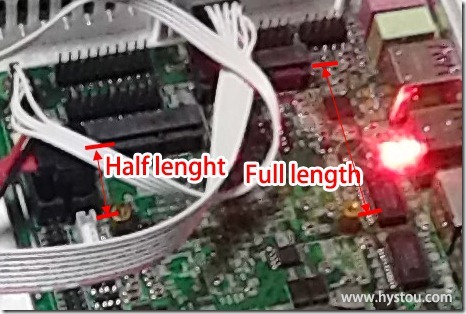 Mostly, the port will be marked out clearly when producing, for example, most motherboard will clearly write ‘”WLAN” beside the Mini PCI-E port, so you only need to check the motherboard carefully will be ok; but some board didn’t mark it out, in this case, you can check the physical size of the port on the motherboard, if the length is full, mostly it is mSATA, and if it is half slim, mostly it will be Mini PCI-e wifi port.